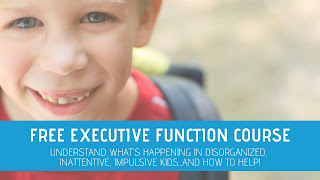 So often, we see kiddos who struggle with sensory modulation, core strength and core stability, body awareness, endurance, sensory processing needs. 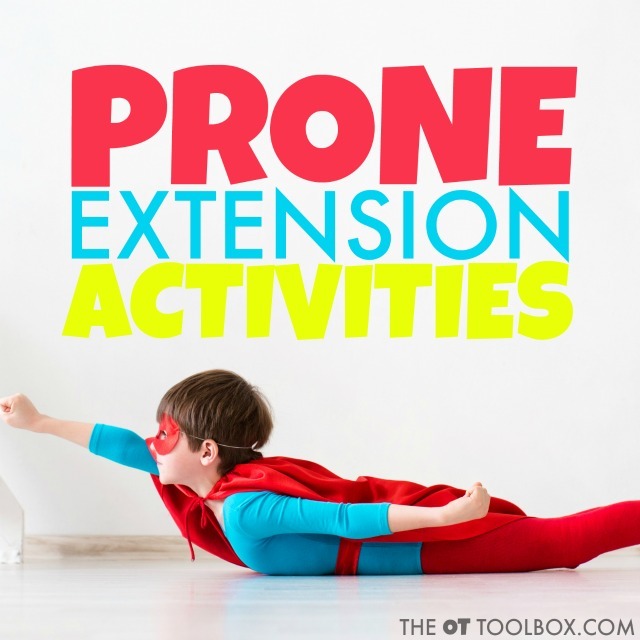 Prone extension activities can help strengthen and address other areas like those mentioned, and more. 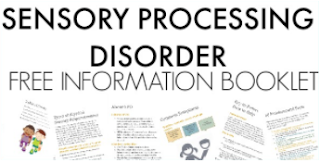 Below, you'll find various prone extension activities that can be incorporated into occupational therapy treatment sessions and included in home programs. Use the following prone extension activity ideas in games, play, and activities to improve skills like body awareness while providing proprioceptive and vestibular input. Many times, prone extension activities can be incorporated into learning activities too, or used to compliment other therapy goals such as visual memory or other visual perceptual needs. Prone extension is that position you probably know as "superman pose". When a child lies on their stomach and raises their arms and legs off the floor, they are assuming supine flexion. This positioning is an anti-gravity movement that promotes and requires an both sensory systems and motor skills to work in an integrated manner. A prone extension position can occur in other locations beyond the floor. A therapy ball, mat, swing, etc. can all be valuable tools in promoting and eliciting this movement pattern. When assuming a sustained prone extension position position, there is a fluent and effective use of both the inner AND outer core musculature. Observation of this position as well as other motor patterns are typically observed during an occupational therapy evaluation in order to assess strength, sensory and motor systems, body awareness, motor planning, bilateral coordination, as well as other areas. Prone extension activities are a great way to encourage vestibular input as well as other areas mentioned above. Additionally, a prone extension activity can be an easy way to add proprioceptive input to a child seeking heavy pressure. To encourage longer prone extension positioning, try adding additional activities such as games, puzzles, or reaching activities while in the prone position to encourage the hands and arms to reach forward for longer periods of time. Amazon affiliate links are included below. 1. Use a scooter board. Ask the child to hold onto a rope with strong arms as they are pulled down a hallway. To further this activity, ask the child to pull themselves along a length of space while lying in prone on the scooter board. Add additional resistance by using the scooter board on a carpeted surface. 2. While lying on a therapy ball or bolster, as the child to place bean bags or other objects into a bucket that is placed on a raised surface such as a scooter board. Move the scooter and bucket to various positions to encourage additional reach and extension. Once a bean bag makes it into a bucket, go in for a high five! What an encouraging way to promote that prone extension! 3. While lying on a mat or other surface, ask the child to toss rings onto a target area. 4. Using a chair or ottoman (couch cushions on the floor work well, too), show the chid how to lay on their belly. Some children will want to keep their toes on the floor to steady themselves. Others may want to lift their legs and feet for additional vestibular input. Ask the child to reach out and pop bubbles. 5. For the child that appreciates vestibular input, ask them to lay their belly on an office chair. Using their hands, they can push away from a wall to make the chair move backwards. Other children may like this activity on a scooter board. 6. Ask kids to lie on their stomachs as they use straws to blow cotton balls or craft pom poms into a target. What an exercise in oral motor skills and breathing, too. Deep breaths in can promote the stability needed to sustain a prone extended position. However, breathing out in a lengthy, slow breath to move those cotton balls provides a chance to really engage those inner and outer core muscles. 7. Kids can hit targets (both high and low) using a pool noodle while in a prone position. Reaching forward with those hands to hit targeted areas promotes eye-hand coordination too while really engaging that core! 8. 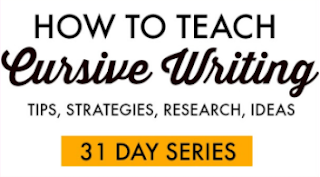 Add a home program with fun exercises that promote posturing, movement challenges, and activities. 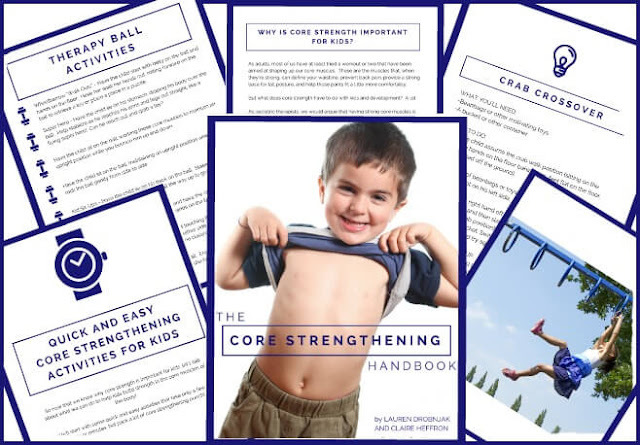 Use the strategies and tips in The Core Strengthening Handbook is a resource for fun and creative core strengthening activities for kids with awesome exercises, games, and activities designed to give kids the strong core foundation they need to improve handwriting. The options are endless when it comes to adding vestibular and proprioceptive input through prone extension positioning and activities. 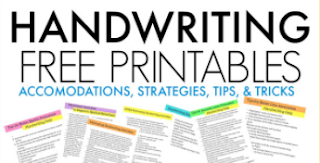 Think out of the box to come up with fun and unique ideas that provide heavy work input while addressing all of the other areas kids so often need! 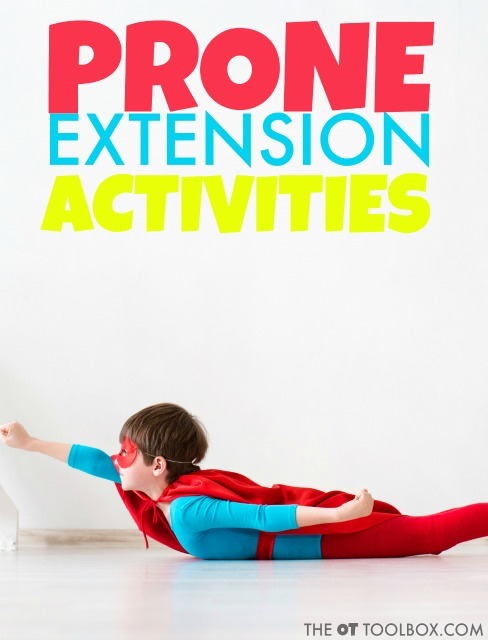 What are your favorite prone extension activities for kids?